Why Do Your Lips Always Feel Dry? We all want kissable moist lips, don’t we? I don’t think anyone loves the idea of having to always apply balm constantly, but we don’t want chapped, cracked kissers either. So, if you’re always applying balm, then why do your lips still always feel dry? Notwithstanding medical conditions that can cause dry skin, your lip balm may be the culprit. If you thought that the cosmetics industry was developing products for your benefit, you would be sadly mistaken. I can prove it to you with scientific research done on various ingredients that are marketed to make your skin, hair, and lips smoother, when in all actuality, they are robbing your skin and hair of moisture! Sure, they feel smooth going on, that’s what they are intended to do; to give you the illusion that it is helping. So what do you do? You use more and more because your skin and hair is constantly being damaged… intentionally. Today, I’m addressing the men and women who feel addicted to their lip balm. The cosmetic industry is intentionally making you lip-balm junkies. Do your lips feel constantly dry and flaking? Do you feel like you need to constantly re-apply your balm? 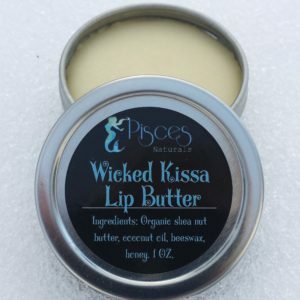 Our lips don’t have oil glands, so it’s most important to work with them naturally to seal in moisture. While some of the ingredients are admirable and beneficial, others are drying and have known irritant and allergy potential. 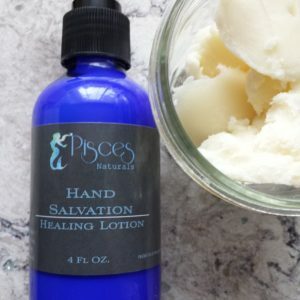 Why would a company use ingredients known to dry your skin or cause irritation? Well, profit my dear, sheer profit. The more you use, the more they profit. The ingredients listed in red may be the reason your lips always feel parched. 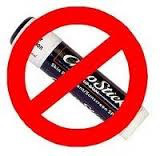 Chapstick: camphor, beeswax, menthol, petrolatum, phenol, vitamin E, aloe, and oxybenzone. Burts Bees, a seemingly natural alternative has the following: beeswax, sunflower seed oil, coconut oil, lanolin, aroma (flavor), honey, tocopherol, rosemary leaf extract, soybean oil, canola oil, benzyl benzoate, coumarin. Benzyl Benzoate: Drug precautions: Keep benzyl benzoate away from the eyes and other mucous membranes, such as the inside of the nose, because it may cause irritation . Do not use benzyl benzoate on open wounds, such as cuts or sores on the skin or scalp. To do so may increase the amount of absorption, which may increase the chance of side effects. Camphor: Camphor-containing products are LIKELY UNSAFE when applied to broken or injured skin. Camphor is easily absorbed through broken skin and can reach toxic levels in the body. Camphor is UNSAFE when taken by mouth by adults. Ingesting camphor can cause severe side effects, including death. The first symptoms of camphor toxicity occur quickly (within 5 to 90 minutes), and can include burning of the mouth and throat, nausea, and vomiting. Did you note that camphor is the 1st ingredient listed in Chapstick?! Dimethicone: I’m going to be doing a complete article on just this ingredient and why it is so detrimental to our skin and hair health. The list is so long on why this is so detrimental, it deserves its own article. The biggest problem is that is in the MAJORITY of products marketed to moisturize. It actually REMOVES moisture and prevents our hair and skin from regenerating, so that we lose the ability to produce natural oils. Instead of sinking into your skin and nourishing it from the inside out, like healthy ingredients do, it forms a sort of plastic-like barrier on the outside of skin. Octyldodecanol: a study published in Cosmetics and Toiletries in 1979 showed irritation occurred in tests of Octyldodecanol, even in low concentrations, and again in a study published in the Journal of Toxicology in 1985. A 2006 study found that it enhanced the irritation of other ingredients. Cetyl Alcohol: Many medical experts believe that cetyl alcohol, and many other fatty alcohols, have the ability to altercate the lipid bilayer of the epidermis (protective barrier) and cause allergic dermal reactions in some. There are many studies supporting the potential irritation associated with this ingredient. Considering this information, it’s best that sensitive skin types perform a patch test with any product containing this ingredient, particularly anyone suffering from a skin condition such as Rosacea or Psoriasis. Myristyl Alcohol: Myristyl Alcohol can be drying, as can most fatty-alcohols. Menthol: Menthol is an alcohol, a compound family known for its drying properties in the skin. For some people menthol dehydrates the skin or lips and makes them feel chapped and irritated. Of mention: Honey and Lanolin can cause allergic reactions in some people, though I am a huge fan of these products for those without sensitivities. Now you know WHY your lips constantly feel dry. You’re putting known irritants on them. In the cosmetics industry, repeat business is what they seek, so if your lips are constantly dry, you’d never even think that your balm is the reason. When your body is in balance, your skin reflects this. When you are out of balance, it often shows. A poor diet WILL show up on your skin. The photo here is of Heidi Klum without makeup or retouching. We all want glowing skin, and with proper care, we can have it. As I stated in my prior article, people who earn a living from their beauty simply don’t eat in the way most Americans eat. Pretty sad, huh? The good new here is that the projection of a continued rise in obesity is wrong. In 2014, the rate finally began to fall. Why? Because we started getting smarter. Schools stopped allowing junk food and a healthy lifestyle became more popular than acting on impulses to buy junk food. 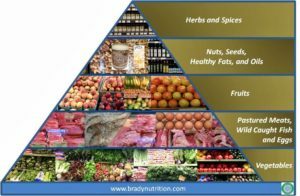 With so many endocrine disorders like diabetes, and thyroid disease skyrocketing, with so many celiac and gluten intolerances being diagnosed, people started realizing that something was seriously wrong about the foods the FDA says is safe. Dermatologists can no longer dismiss the association between diet and acne. Fast forward to 2017. Dermatologists now know that their prior assumption that diet had nothing to do with acne was wrong. New research and studies began proving otherwise. That happens a lot. We follow a train of thought, only to realize that it was wrong all along. With the internet at our disposal, we can also find so much information, not all of course is good information, but those with specific reactions to foods with additives could suddenly connect, and then, suddenly, we realize there’s a ton of people out there who have really serious and bad reactions to these chemicals in our food that the FDA told us was safe. Why? Well, honestly, I believe it’s because we’ve allowed the food corporations to be involved with the FDA, so I will say it: corruption. Now we know that acne is a disease that primarily affects Western Civilization. * Other civilizations also have some acne, but scientifically, it is proven to be primarily a Western disease. 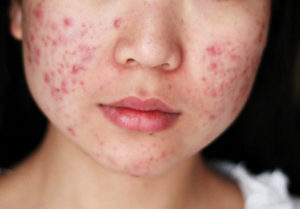 What many developing nations who don’t have acne do not share with Western civilization is processed foods and pollution. I want all of you to try this for 30 days, and I want to hear from you. Change your diet, change your health and cure your skin! Don’t forget to take your supplements below that I outlined in the first acne article. They will help you immensely. Garlic helps destroy many harmful organisms in your body and probiotics help balance your gut, which is needed for healthy skin. We all know how painful it is to live with acne. Our face is the first thing the world notices. The internet is filled with all sorts of advice and promotion of products. How do you know what to choose? How do you know what advice to listen to? While I understand that Western culture has grown to want to take a pill for an ailment to be done with it, the answer is not a quick magic pill. There is no such thing. If you think there is, stop reading, and move on. Here, I will provide links to studies and real evidence for what can help you. I will present the information in several future blog posts, as there is a lot of information from diet and internal factors, to external factors. Today, let’s begin with healing your acne from the inside out. Did you know that in Western societies, acne afflicts 79% to 95% of the adolescent population? It’s certainly not just adolescents who suffer. I experienced acne well beyond that until I found what worked. Let’s look at a nation that has NO acne at all; Kitava. Now, the Kitavans have no special genetic makeup. What does set them aside from Westerners though is their diet. It is rich in fresh fruits, root vegetables, and fish. They don’t consume coffee, tea, alcohol, or dairy. It’s called a “low GI diet”, which means it’s low on the Glycemic index (low sugar.) These foods prevent glucose spikes and insulin levels. 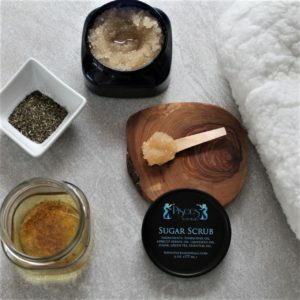 Those glycemic levels also can sharply increase the hormone “androgen” so now, we’re kind of getting into the other known cause of acne, HORMONES, because our bodies are these wonderful interconnected vessels and one thing really can seriously impact another. This is why holistic medicine is so awesome. I’m telling you about the root causes of your problem, and where it really begins. Did you know that milk can also give you unwanted additional hormones? So, I’m going to lay out the plan of action to see the quickest results and you need to begin TODAY. Wait, does this look like it may be too hard? What I’m laying out here is also the diet that Gisele Bundchen and her husband Tom Brady follow. Now, I’m not promising you’ll get supermodel or super-athlete looks, physique and form, I’m just telling you that people who make a living from their looks and performance DON’T eat like most Westerners. I’ve been eating this way for many years and I can attest to having consistent energy, clear skin, and rarely get sick. Dairy, coffee, soda, white flour, high fructose corn syrup, alcohol, canned foods, table salt, and generally anything that is processed or has added sugar and salt. There will never be Doritos, corn chips, Ring Dings, Devil Dogs, Munchos, or anything of the like on any food pyramid. You know you want to look and feel better, and you know what you need to begin doing today. Try it for one full month, and tell me what you notice in 30 days. One word of caution; the first week WILL be difficult. Your body will go through a detoxification period, but by day 7, you will begin to notice something beautiful taking place. To ease the transition, I highly recommend adding the following supplements. These will assist your body in cleansing and balancing your gut. You can find them on the shopping page. I will post about the toxic food additives in processed foods, and why they are destroying more than just your skin. Begin with this new eating plan and supplements today because success always begins with one small step. I care. I’m here to help with any questions. I want to see you succeed because when you succeed, when you look and feel better, I have done my job. PS, don’t forget to follow us on FB and IG! Kim, J. “Review of the Innate Immune Response in Acne Vulgaris: Activation of Toll-like Receptor 2 in Acne Triggers Inflammatory Cytokine Responses.” Dermatology (Basel, Switzerland)., U.S. National Library of Medicine, www.ncbi.nlm.nih.gov/pubmed/16205063. There are variety of herbs that help repel ticks, mosquitoes, and other biting insects. I have tested many natural bug repellents to only be dissatisfied by getting bit alive by mosquitoes, no see ums, and gnats. Many people are skeptical of natural repellents for this very reason. There’s a lot of information on the internet suggesting recipes for bug repellents, but that doesn’t mean it’s factual or that they even work. Additionally, a product that fares pretty well in the backyard, may not work well at all in the deep woods. Lemon eucalyptus or PMD is our main active ingredient. When it was tested on humans in Tanzania, PMD gave complete protection from biting for between six and 7.75 hours. Compared to DEET, there was no significant difference in efficacy and duration of protection when used against the Anopheles mosquito, the chief malaria vector in Africa. Other studies have also demonstrated its protection against the biting midge, deer tick and the stable fly. Our ingredient list; soybean oil, lemon eucalyptus, cedarwood and peppermint oils, work by masking our body odors that attract ticks, mosquitoes and biting insects. These ingredients have also proven toxic to biting insects while safe for humans. Because the repellent oils are volatile, they evaporate quickly. Most on the market today are mixed with water and or alcohol. That surely doesn’t help with evaporation! In addition, when placed in plastic bottles, the plastic absorbs the oils. Our product is superior because the active ingredients are mixed in the soybean carrier oil to allow for less evaporation and longer effectiveness, and packaged in environmentally friendly amber glass bottles to protect every ounce of ingredient. There are many illnesses that ticks can spread. Protect yourself and your loved ones with our natural Bug Off product that has the science behind it’s effectiveness.